After announcing the launch of their new Qualcomm Snapdragon Wear 2100 SoC processors back in February of this year. 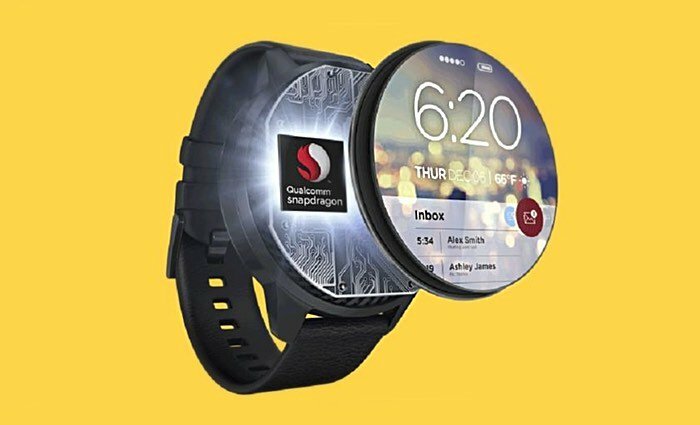 Ahead of next month’s Computex 2016 technology event Qualcomm has now announced the launch of the Snapdragon Wear 1100 system-on-a-chip (SoC). During the Computex 2016 show Qualcomm will be showcasing wearable devices that are powered by both the 2100 and 1100 SoC and take the form of smartwatches that have been specifically designed for children from manufacturers such as Anda Technologies, InWatch, and weBandz. As well as the new wearable devices, Qualcomm is also unveiling new wireless chip solutions in the form of the QCA4012 dual-band wireless chip, specifically designed for Internet of Things projects and development. Together with the new 802.11ac tri-radio chip, created for wireless routers and range extenders. As more details and more comprehensive specifications are unveiled about the latest Qualcomm Snapdragon Wear 1100 SoC during this week’s Computex 2016 technology event we will keep you updated as always. Wearables using the Snapdragon 2100 can support users who want to take their devices on the go—and leave their smartphones behind. The processor is available in two versions: tethered (which uses Bluetooth and Wi-Fi) and connected. In the connected version, the processor’s next-generation LTE modem, which also includes low power Wi-Fi and Bluetooth, is engineered so users can stream music, answer calls, send messages, and much, much more, all directly via their wearable.